Welcome back to Parte Dos of our Examen (ayk-SAH-mayn) Examination into Spanish Twins’ (words in English & Spanish that are identical or nearly the same) oddball relatives – Spanish Inbreds. Unlike the Twins’ crossover simplicity, the Spanish Inbreds appear to be just like their English relatives, but they are not. Luckily for all of us, there are far more Spanish Twins than Inbreds. Here are a few examples of Spanish Twin verbs. NOTE: all verbs in Spanish end in one of 3 ways: -AR, -ER, or -IR. So, ignore the last 2 letters of each word and the meaning should be fairly obvious…. 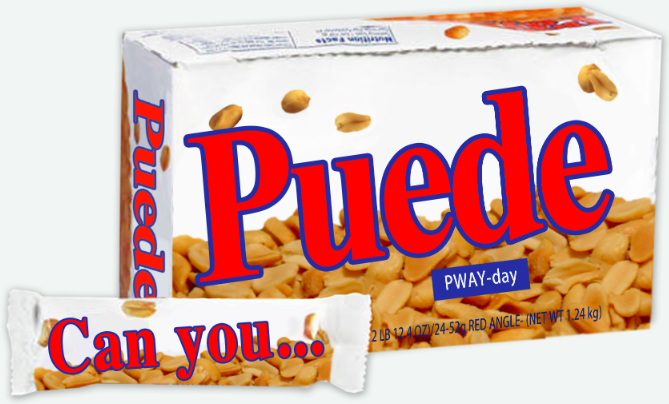 Now simply add Puede (PWAY-day) “Can you” before any of these words to start speaking sentences that get things done on the job. This is so powerful we call it the Puede Payday – because it really pays off for you once you start using it on the jobsite. Puede instalar :: Can you install? Puede preparar :: Can you prepare? Puede mover :: Can you move? Puede completar :: Can you complete? Puede conectar :: Can you connect? Puede organizar :: Can you organize? So we’ve identified some Spanish Twins that can help you immediately, now let’s return to the tricky Spanish Inbreds…. You may guess this means Exit, but Éxito (AYK-see-toh) means Success, a word you want to throw around frequently. There is plenty of banter about what failure looks like in construction. Why not talk about Success more often? 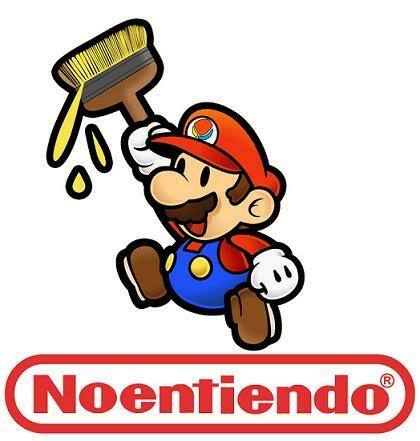 Oye Capitán – necesitamos éxito hoy. Hey Captain – we need success today. 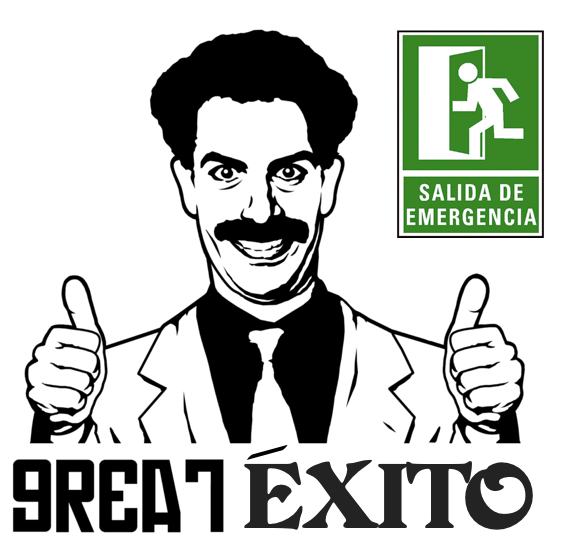 Exit is Salida (sah-LEE-dah) from the verb Salir. If you keep an eye out, you’ll see Salida near bilingual exits. Similar to Carpeta, Insulación is one of those double-secret probation Spanish Twins. It is, but it isn’t. Technically speaking, Insulación (insulation) does not exist in the Spanish language. The correct term is Aislamiento (i-slah-mee-AYN-toh). 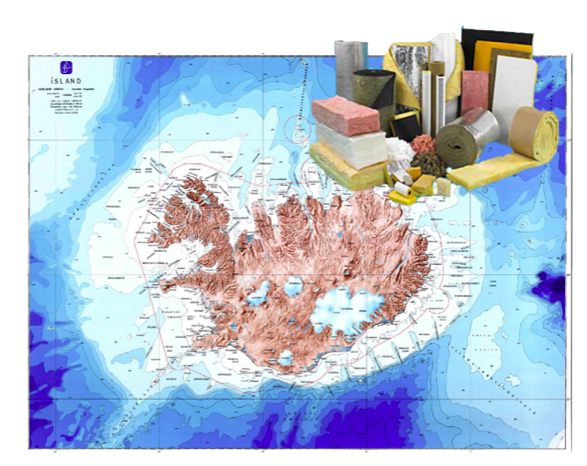 For this term think of Iceland… a place where you need Aislamiento. You need Aislamiento in Iceland… or insulación. But… don’t worry about it. Everyone says Insulación. It’s too easy not to. ¿Puede instalar la insulación aquí? Can you install the insulation here? Your natural inclination as an English-speaker is to think to molest. In Spanish though, it’s less insidious. It means to bother, to disturb or to annoy. My back is bothering me. 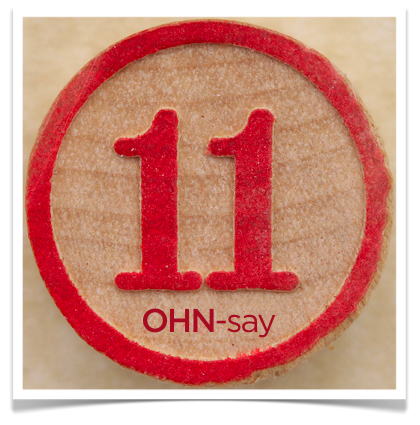 Pronounced (OHN-say), it means 11. Apúrate – tiene once segundos. 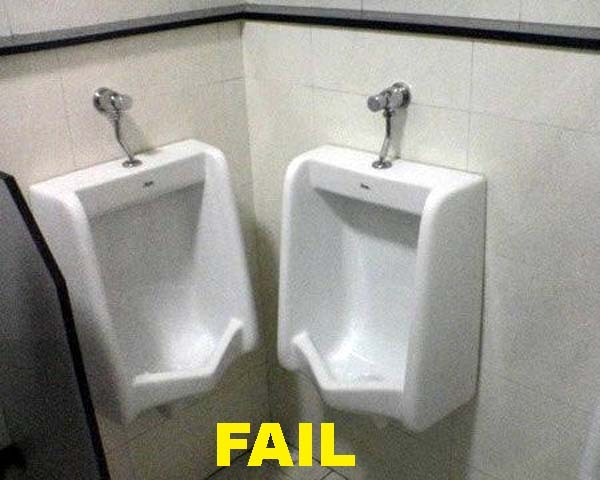 Hurry up – you have 11 seconds. Not Rope, but Clothing. A Rope or String (chalkline, for example), you’d find on the jobsite would be Cuerda (KWAYR-dah). 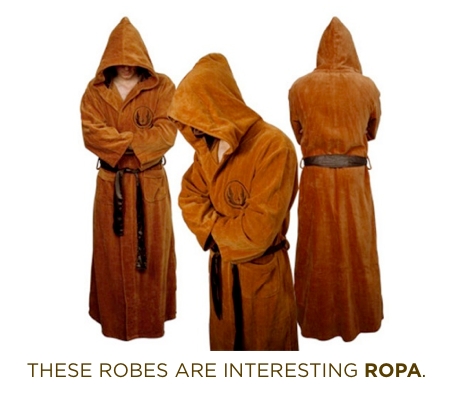 For Ropa, think of glorious Robes as an interesting Clothing choice. 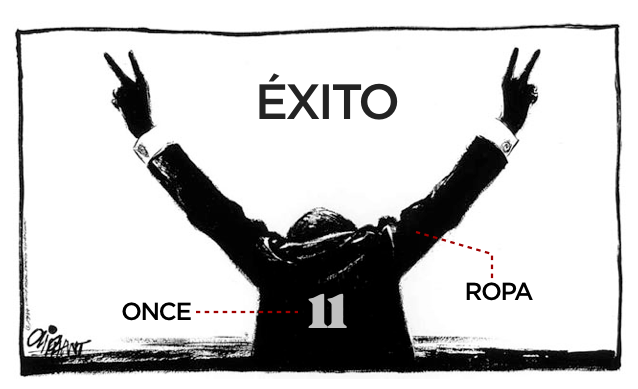 Well, we already know Success is Éxito, so what does Suceso (sook-SAY-soh) mean? Suceso means An event or Something that happened. It may happen to be an Éxito, or maybe not. 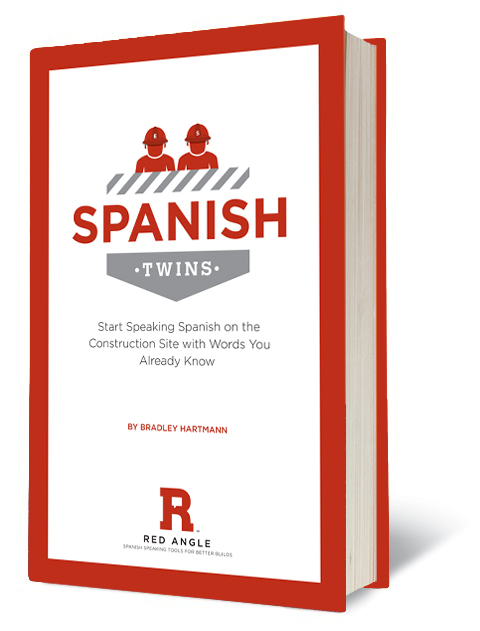 Watch out for these tricksters, but keep looking for Spanish Twins – they are all around us! Amazing article! We’d enjoy to hear more concerning this in a future, more detailed piece of writing.